Follow these instructions to create a new Page in your website. 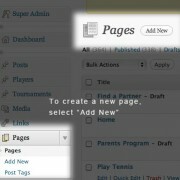 To create a page, go to the Dashboard, select “Pages”, then “Add New” (pictured right). A new Page will open. 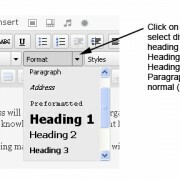 First enter the page Title, then add your content in the Visual Editor (the big box). 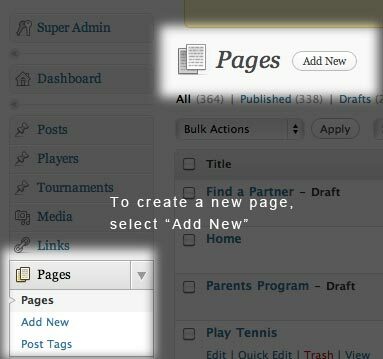 Next, attribute a page parent to your new page. If the new page you are creating is to be a top-level menu item, then it won’t have a page parent. 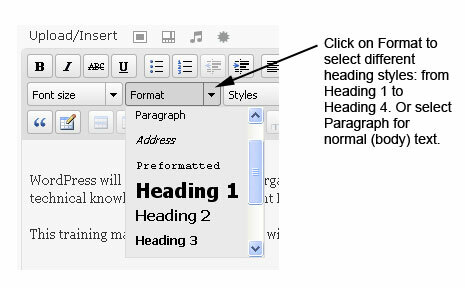 However, if you would like to create a section and the new page you are creating is a sub-page in a section, then select the parent page from the Parent dropdown menu on the right. 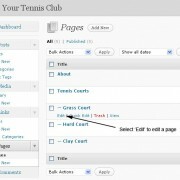 First, create a new page called “Tennis Courts”. 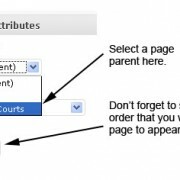 Because this is going to be a section, this page does not have a parent page, so in the Parent dropdown menu, select “No parent”. Save this page. 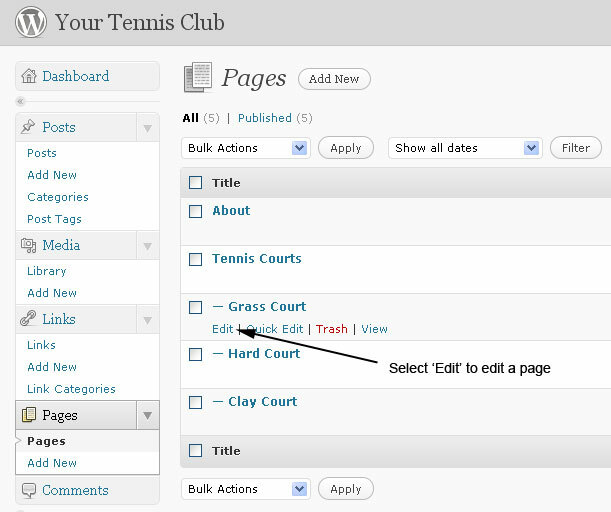 Next, create a new page and give it the title “Grass Court”. In the Parent dropdown menu, select “Tennis Courts” (pictured right). 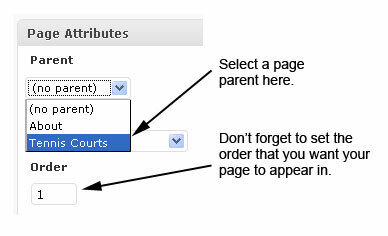 Then do the same for the other sub-pages – Hard Court and Clay Court. Now, when you go to your website and select Tennis Courts, Grass Court, Hard Court and Clay Court will appear as sub-pages of the Tennis Courts section. 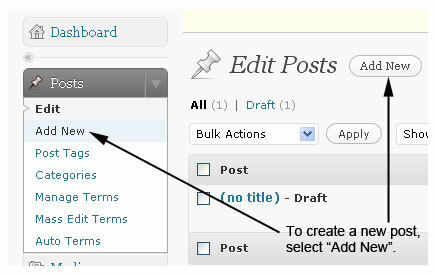 To edit a page, go to your Dashboard and select “Pages” to see a list of the pages on your website. 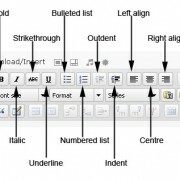 Next, click on the page you’d like to edit (pictured right). Make your changes and click on “Update” to save your changes. A page is static – it contains information that you would like your visitors to be able to find whenever they visit your website. For example, a page called “Tournaments”, “About Us” or “Contact Us”. A post contains information that may only appear on your website for a limited period of time. For example, a News Article or a Photo Gallery.